IRISH politicians have gathered at Dublin's Mansion House to celebrate the centenary of the First Dáil, which occurred there exactly 100 years ago today. President Michael D Higgins lead commemorations in the Round Room this afternoon during a special ceremony which was also attended by descendants of the revolutionaries who broke from Britain on January 21, 1919. "The establishment of Dáil Éireann was not only a revolutionary act of national self-determination," President Higgins said. "It was an act of defiance against an empire that ruled over vast territories and diverse peoples, an assertion that sovereignty belonged not to the crown, but to the Irish people. "In place of fear, the Democratic Programme offered hope. In place of self-interest, it demanded duty. In place of injustice, it mandated equality". He added: "The destiny of our country, the fate of our Irish revolution, now lies in the hands of this generation of Irishwomen and Irishmen. 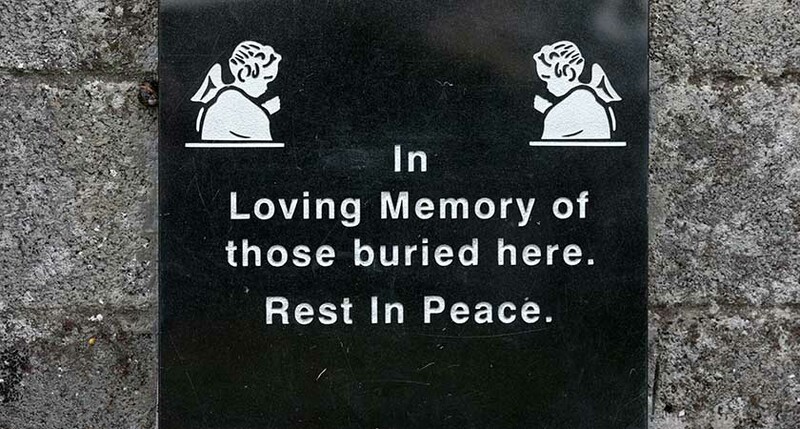 It falls to us, the Irish people, to forge a renewed vision of Irish freedom in the world today." 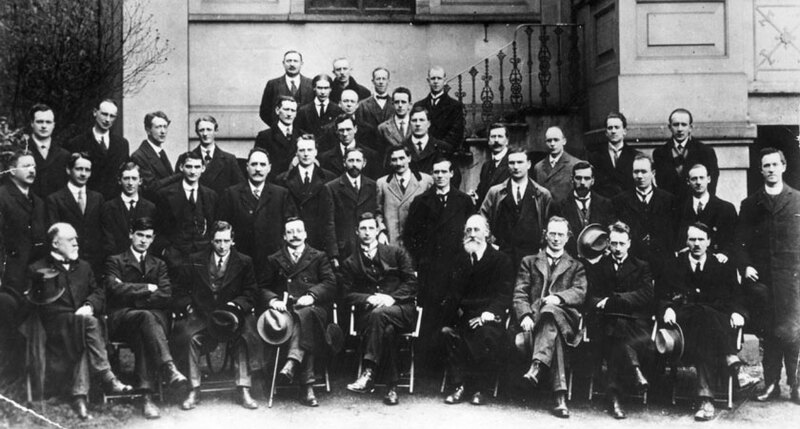 In what was undoubtedly one of the most momentous days in Irish political history, Sinn Féin MPs – having claimed 73 of 105 Irish seats available during the December 1918 General Election – put together a representative Dáil Éireann ('Assembly of Ireland') as part of their pledge not to sit in Wesminster. The Irish republican party invited all elected Irish MPs to the historic meeting, which came just two months after the end of World War I and three years after the 1916 Easter Rising in Dublin. However, only 29 names were recorded as present because many – including Eamon de Valera and Arthur Griffith – were in British jails, while others including Michael Collins were on the run. Also absent from the Mansion House gathering were 26 Unionist MPs and six MPs from the Irish Parliamentary Party – which favoured devolved home rule. The Dáil asserted the exclusive right of elected Irish representatives to legislate for the country, and elected Cathal Brugha as its first Ceann Comhairle (Speaker of the House). Proceedings that afternoon began with a prayer from Fr Michael O'Flanagan, the calling of the roll and the appointment of clerks. This was followed by the formulation of the Dáil Constitution, the Message to the Free Nations of the World, the Democratic Programme and the Declaration of Independence. The latter stated: "We, the elected Representatives of the ancient Irish people in National Parliament assembled, do, in the name of the Irish nation, ratify the establishment of the Irish Republic and pledge ourselves and our people to make this declaration effective by every means at our command." Also speaking at today's event Taoiseach Leo Varadkar it was "significant" that the Declaration of Independence was read out in Irish, French and English as "the vision of a free, independent republic was multilingual in approach and multilateral in outlook". He continued: "It was one which sought to re-establish justice, to provide for future defence, to insure peace at home and goodwill with all nations and to constitute a national polity based upon the people's will with equal right and equal opportunity for every citizen'. "They are the same principles which guide us today". 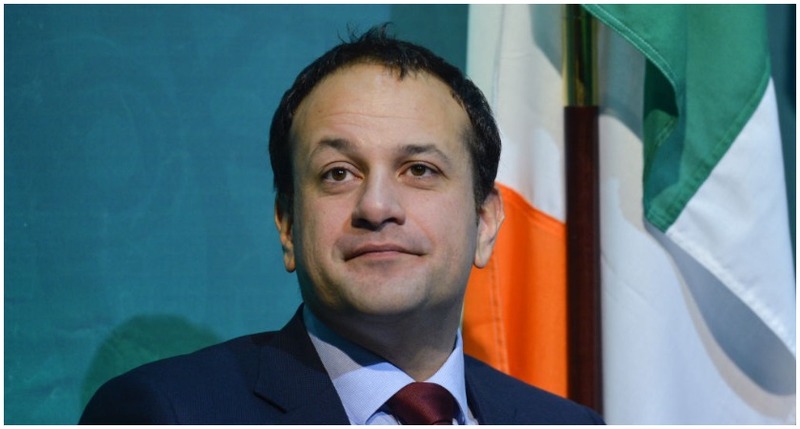 Mr Varadkar also said Ireland's EU membership, partnership with the United Nations and peacekeeping missions around the world "have turned the dream of Ireland taking her place among the nations of the world into a reality". He added: "Over time, the new Irish state would establish policies 'for the care of the Nation's aged and infirm, who shall not be regarded as a burden, but rather entitled to the Nation's gratitude and consideration. "Health services were established to safeguard the health of the people and ensure the physical well-being of the country, services that serves us well, despite the problems." "The Democratic Programme also points to where the State has fallen short," the Taoiseach continued. "Its assertion that 'the first duty of the Government of the Republic' will be to ensure 'that no child shall suffer hunger or cold from lack of food, clothing, or shelter, but that all shall be provided with the means and facilities requisite for their proper education and training' reminds us of our responsibilities to children. "Industrial schools, illegal adoptions, and Mother and Baby Homes were a betrayal of those ideals. "Although today the rate of child poverty in Ireland is only a fraction of what it was one hundred years ago, and is falling, we must do better. "So today is an opportunity to recall the past and look to the future. "The meeting of the First Dáil was a bold exercise in democracy, an assertion that the struggle for Irish independence had the support of the Irish people, and derived its legitimacy from them. "By honouring the First Dáil we reaffirm our belief in its democratic integrity, concourse with the world, and rededicate ourselves to the pursuit of its values and aspirations."